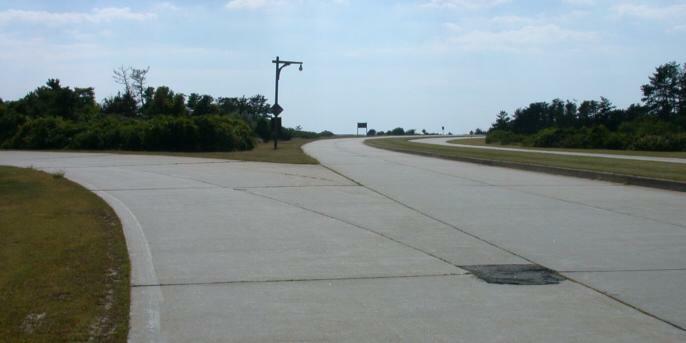 Looking southward along Bay Parkway at the Ocean Parkway interchange, where you can see loop ramps shared with Ocean Pkwy. EB, and then looking northward from the same spot, both courtesy Scott Colbert. WB on Bay Pkwy. (you can see the south to west curve in the first photo above) as it approaches Jones Beach and its end. Ocean Parkway heading EB away from Bay Pkwy. looks every bit as barren. 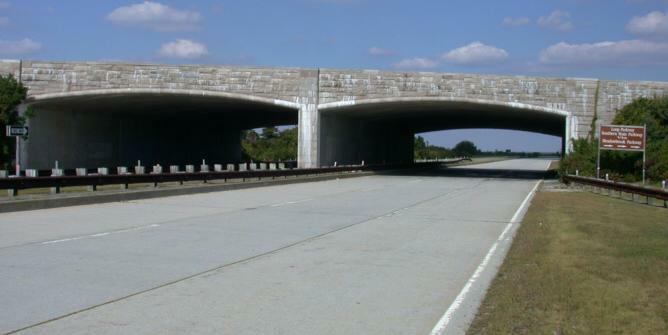 Why are there freeways here? Because these photos, and presumably Scott's as well, were taken well outside the peak summer season, and thus no one has a reason to come to the beach. Well, almost no one - you'll see a car or two on this page. This sign has no reason to be brown. 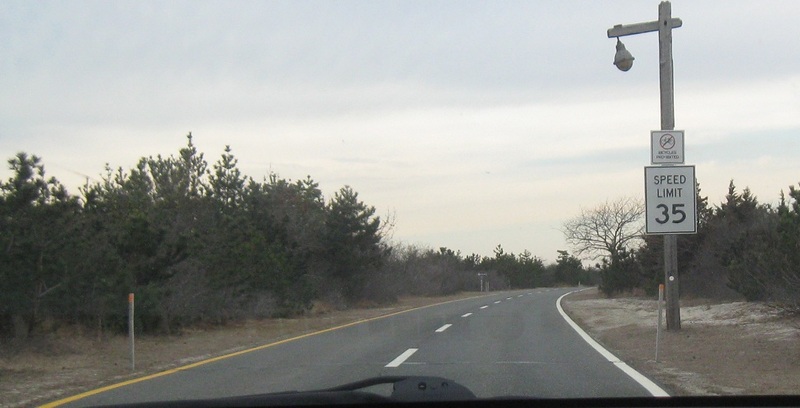 It's a state park, not a national one, and there are no other brown signs on Ocean Pkwy. 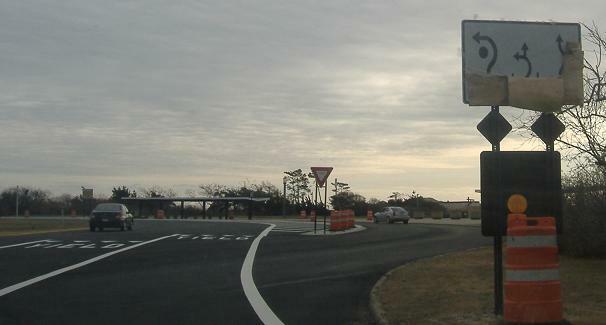 Alphabet soup and new roundabout signs approaching and entering the roundabout at the southern end of Wantagh State Parkway. Until 2007, this was a three-lane traffic circle - it probably functions better as a three-lane roundabout, but this many lanes should really come together in an interchange. 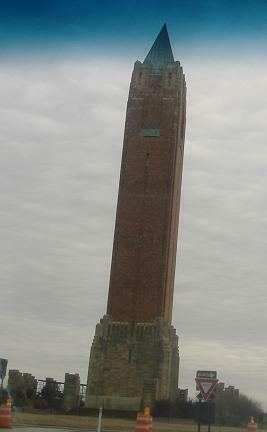 The tall obelisk in the center is the Jones Beach Water Tower, designed by Robert Moses. 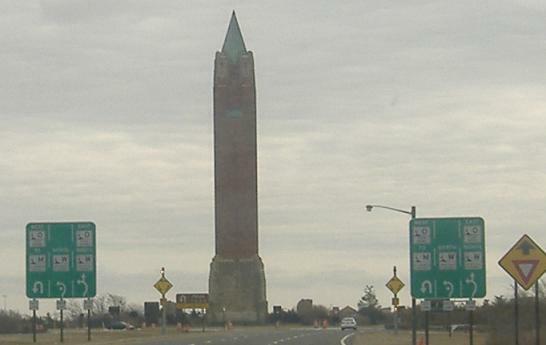 It has a twin at the southern end of the Robert Moses Causeway. 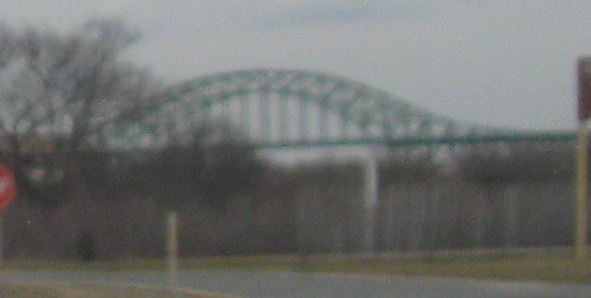 Looking east at the Robert Moses Causeway arch, then west from the parking loop east of the Causeway interchange. 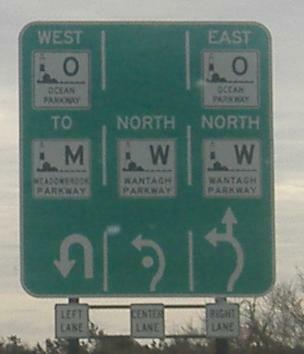 Ocean Parkway now ends here, but it would have taken the southern bridge of the Causeway down to Fire Island and thence east to William Floyd Parkway, where a very short piece of planned Ocean Parkway was constructed.